There are three ways for democracy to fail: 1) when a foreign power intervenes in local affairs; 2) when the national government suppresses political action and curtails human rights; and 3) when the citizenry turns a blind eye to their nation’s dismal state. But then there are leaders who will stand up and fight for the principles that they believe are right, who will steadfastly uphold liberal values in spite adversity. 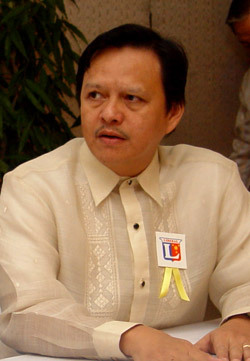 The Liberal Party is proud to have had leaders such as Dr. Quintin “King” Doromal and Gov. Rafael “Raffy” Nantes who lived their lives according to the liberal tradition of greatness and honour. 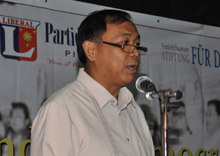 On 25 September 2010 at the Bantayog ng mga Bayani in Quezon City, the National Institute for Policy Studies (NIPS), with the support of the Friedrich Naumann Foundation for Liberty (FNF), gathered people from civil society groups to look back and reflect on the nation’s struggles to achieve and maintain democracy. Liberals have always been in the forefront in the fight for freedom. Notably, Senator Ninoy Aquino gave up his life to end Martial Law, and Senator Jovito Salonga led the senate that said “No!” to American bases. These showed that neither the national government could diminish democracy nor any foreign power could demean the country’s sovereignty. 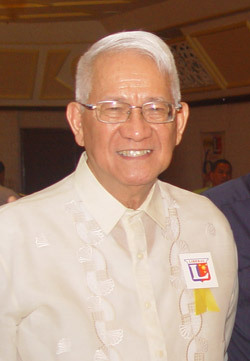 honorary doctorates, and his teaching profession at the University of the Philippines and stint as president of Siliman University. 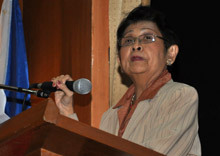 Dr. Florangel Braid who sits at the National Director of the Liberal Party with Dr. Doromal relived the good natured way of her colleague. “Beyond his many accomplishments, what many fondly recall are his endearing human qualities – his rare gift of empathy, his regard and respect for everyone, regardless of his station in life, and his knack in establishing rapport, thus, bringing out the best in the people he worked with,” expressed Dr. Braid. The Liberal Party position for Treasurer was left vacant by Gov. Raffy Nantes. Former LP Director General Ms. Chit Asis expressed her heartfelt gratitude on how the governor was always ready to give financial support to party operations and activities. Former Representative Manny Mamba shared that when he and Governor Nantes were still both in congress, they signed the impeachment complaint against Former President Gloria Macapagal Arroyo. This resulted in their Priority Development Assistance Funds (PDAF) being withheld by the administration. Congressman “This was a difficult time, but never did I sense Governor Nantes waver from our position against a corrupt government. 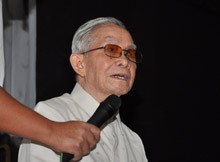 He was resolute to pursue truth and justice,” said Congressman Mamba. NIPS awarded Plaques of Recognition for the contributions of Dr. Doromal and Governor Nantes to Mrs. Pearl Doromal and Mrs. Betty Nantes and their families.